Earthquake experts met in Yangon to draw up plans to limit the damage that a seismic event could inflict on the city and its inhabitants. 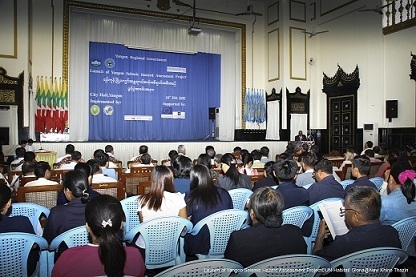 The Yangon city seismic hazard assessment projec t, which aims to develop a sustainable city plan, was launched on February 19. The immediate result of the project will be a hazard map, showing the areas thought to be at greatest risk. The one-year project is supported by UN-Habitat – through the Myanmar Consortium for Community Resilience, under the European Commission Humanitarian Aid department’s Disaster Preparedness Programme – and the Norwegian Ministry of Foreign Affairs. Mr. Bijay Karmacharya, head of agency at UN-Habitat said that preparations for an earthquake were urgently needed in Yangon, whose population has increased 10-fold in the past 80 years. 1930 in the Bago Region, 50 were in Yangon, at a time when the city had a population of just 400,000. The study will be undertaken under the guidance of the regional government, Yangon City Development Committee and Myanmar Geo-Science Society. U Myo Thant, a lecturer at Yangon University and secretary of the hazard section of the Myanmar Earthquake Committee, said the project would identify seismic sources, estimate source parameters and calculate seismic hazards. “The result will be maps showing active faults, engineering considerations, liquefaction potential and earthquake potential,” he said. U Soe Thura Tun, vice president of the Myanmar Earthquake Committee, said the hazard and risk maps would assist in disaster risk reduction. “With hazard and risk maps, the government knows where the priority areas for hazard management are. A legal system for each location can be formalised. Developers know how to establish their business in representative locations. People can know the true condition of their homes and workplaces. 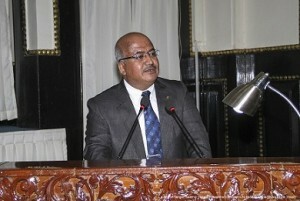 Hazard management systems, preparedness and emergency response will be possible for all,” he said. Yangon Region Minister for Social Welfare U Myint Thein said the maps would help prepare the city for future disasters. “The maps wil l show which areas are vulnerable. Based on that information, we can construct earthquake-resistant buildings and make safety preparations such as earmarking open areas where people can gather,” he said. In recent years, the Myanmar Earthquake Committee, Myanmar Engineering Society and Myanmar Geo-Sciences Society in partnership with the Relief and Resettlement Department and UN-Habitat have conducted seismic risk assessment for the cities of Bago, Sagaing and Taungoo. Yangon lies close to the Sagaing Fault, which stretches about 1500 kilometres from northern Myanmar to the Gulf of Mottama and is the most active fault in the country.